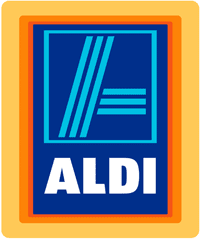 Here are all the deals you can find in the Aldi weekly ad, starting either 7/29 or 8/1 depending on your area. The list is a little shorter this week, so leave a comment if you find some fun deals in your local store! Get Chobani Greek Yogurt, 6 oz, at Food City or Winn Dixie for 70¢. Get Chobani Greek Yogurt, 6 oz, at Kroger for 40¢. Get Luigi’s Real Italian Ice, 36 oz, at Harris Teeter for $1.75, through 7/31.